37-39 Clarendon Road is a landmark redevelopment scheme that will provide over 120,000 sq. ft. of high quality office space, 154 modern apartments and a network of verdant rooftop gardens with panoramic views over Watford’s skyline. At ground level, a contemporary public plaza will be overlooked by a new café and gym creating a vibrant frontage and opening up the site to public use. CSA’s Urban Designers, Landscape Architects, Ecologists and Heritage Consultants have worked closely with Clarendon Road Developments Ltd to development the design for this 23-storey building, which received planning approval in November 2017. An Urban Design appraisal was prepared for the site, assessing the architectural context, urban grain, streetscape and massing in the vicinity of the site in order to inform the design proposals for the building. The appraisal identified the key consideration to be taken into account in redeveloping the site: that this is a site of two very different aspects, with one side overlooking Watford’s inner ring road and the other facing onto a pedestrian-friendly thoroughfare between the town and railway station. This was key in the development of the design proposals, ultimately leading to a 23-storey tower being located adjacent to the ring road, providing a landmark building on the approach to Watford whereas the Clarendon Road frontage was designed to maintain the ‘human scale’: being lower in height and comprising a public plaza and café with outdoor seating which invites people into the site from the street. 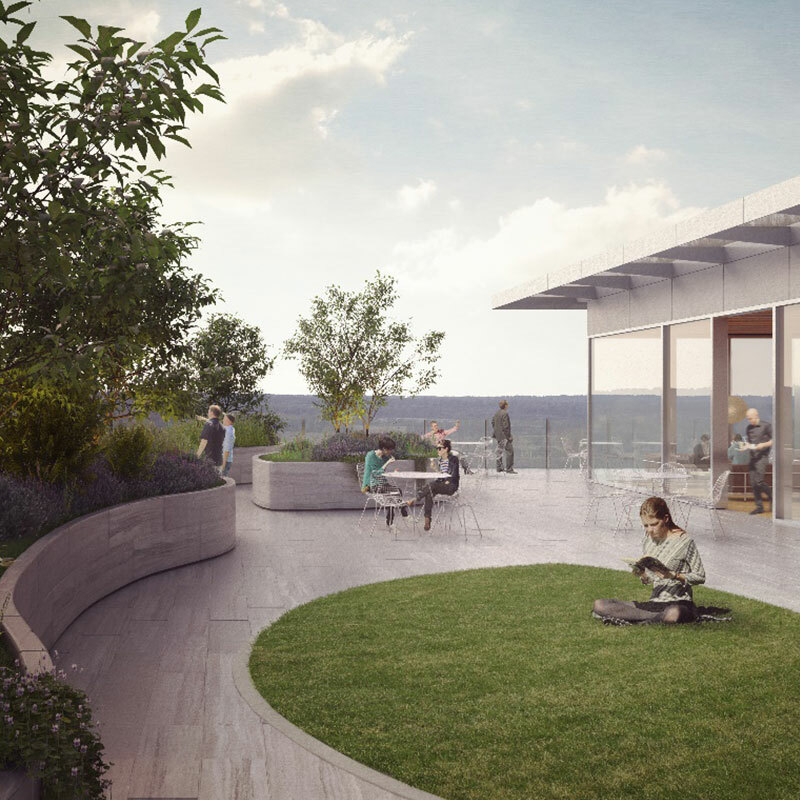 CSA’s Landscape Architects progressed the design in more detail, providing initial landscape strategies for the rooftop gardens, which will provide panoramic views over Watford’s skyline and important amenity areas for residents and office workers alike. The public plaza was designed with green walls and outdoor seating, refreshing this part of the streetscape and providing an active and vibrant frontage. As part of the design process a number of viewpoints were identified, both within Watford and from places of significance further afield. CSA’s Heritage Consultants assessed the potential impact of the scheme on nearby Conservation Areas and listed buildings. In collaboration with ARUP, the building was modelled within Watford’s computer-generated town model and the impact of the scheme assessed. 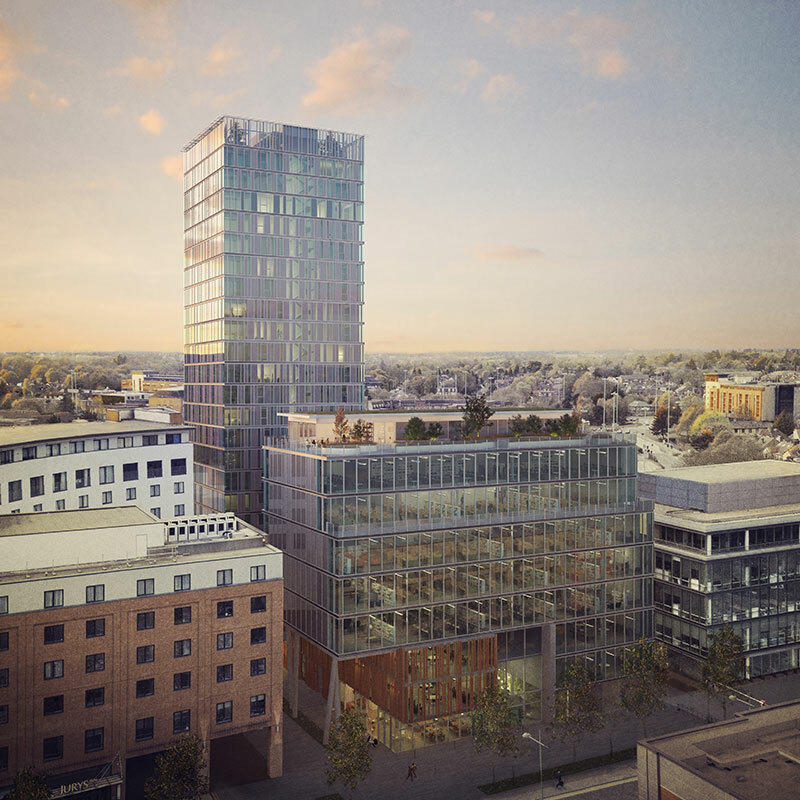 The 23-storey proposals will create definition to central Watford’s skyline, providing a landmark building that will support over 1000 office jobs, modern apartments, and unique opportunities for views over the surrounding townscape.